It's that time of year - the full moon of August when they come out of the woodwork. 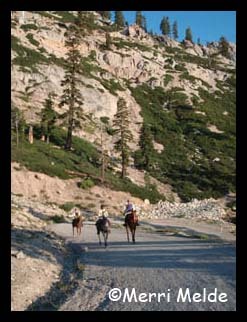 Horses, riders, crews, volunteers, press, the curious, the Western States Trail groupies: Tevis Junkies at Tahoe. The 57th Tevis Cup starts at 5:15 AM on Saturday, August 4th. Two hundred-fourteen riders are signed up to hit the trail - Americans, Australians, Canadians, a Netherlander, a Great Britaineer, and a Japanese rider, from first timers to old timers. The age spread is from under 16 to over 70; the riding experience spread is from a couple hundred miles to tens of thousands of miles. the last person crosses the finish line at approximately 5:14 AM on Sunday, and see what he or she has to say, see whether his or her tears look exactly like those of the winner who probably finished 7 hours earlier. If you're intrigued by the speed and strategies it takes to win a hundred mile ride through the Sierra Nevada mountains, you won't be disappointed by how the race unfolds. If I were a betting man, which I'm not and I'm not, here are some of the riders and horses I might watch - favorites and longshots - to finish in the Top Ten, and/or hit the finish line in Auburn first, around 9 or 10 PM Saturday night. Christoph Schork is the winningest endurance rider, ever. Christoph already has 3 Tevis buckles, and he doesn't go out to just finish a ride. Stars Aflame won last year's 100-mile AERC National Championship (and Best Condition). The mare has 42 finishes in 44 starts over her 5 year career, and ten Best conditions. Watch for Garrett Ford on The Fury. In 2010 they finished Tevis in 8th place, and nobody who saw it will forget their trot out for the Haggin Cup the next morning, which they won. They finished 5th in Tevis last year. The Fury has 15 finishes in as many endurance starts, with 7 Best Condition awards. Also keep an eye on Lisa Ford and GE Cyclone. He has 2 Top Ten finishes at Tevis in 2007 and 2010. 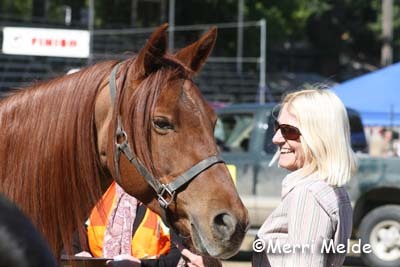 Heather Reynolds rides Stirgess, the gelding with mane clipped like a dragon. This year Stirgess and Heather won 1st and BC in the FITS 100, and Jeremy Reynolds and Stirgess finished second and won BC at the Biltmore 100. Heather has 16,800 AERC miles. 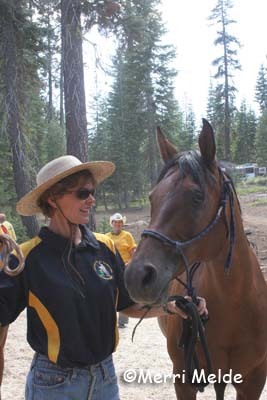 She won the Tevis in 2003, won the Haggin Cup in 1999 and 2003. She knows this trail. Kevin Myers rides Auli Farwa. This bald-faced, deep red chestnut horse has a huge heart, as evidenced by a terrific ankle injury he overcame in 2007, a 42 for 42 record, and has finished 8 100-mile rides, including Tevis in 2009 and 2011 and Big Horn in 2010 and 2011. Kevin has 3 Tevis buckles, and this fourth attempt with 'Far' might just land him in the Top Ten. Also keep an eye on Rusty Toth (going for his 3rd Tevis buckle) and Farrabba, aka 'Stoner' (2 for 2 at Tevis in 2010 and 2011). These guys have been training in the Colorado mountains, and if they can keep up with Garrett Ford on The Fury on those trails (and I know Stoner can, because I got to ride him with these boys! 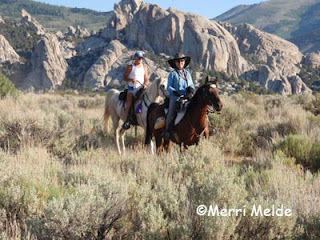 ), they could be furiously burning up this year's Tevis trail also. 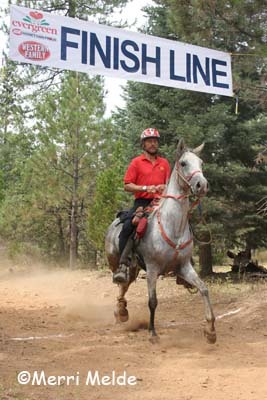 Keep an eye on CR Zebra Splash and Clydea Hastie; this pair finished Tevis in 2007, and they won the 100-mile Resolution Ride this New Year's Eve. Clydea has 10,400 AERC miles and 5 Tevis buckles, including a 6th place finish in last year's Tevis on another of her horses. Melissa Ribley is riding Sacajawea. 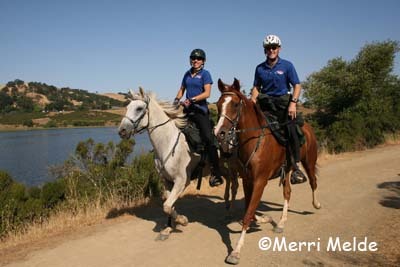 Melissa has 18,500 AERC miles and 7 Tevis buckles, including a surprising - and sweet! - second place on LD Monique in 2009 Tevis - and the Haggin Cup. Sacajawea already has 2 Tevis Cup finishes. Suzanne Ford Huff has 3 Tevis buckles, 2 of them Top Ten finishes. This year she's riding SD Expressa, who has completed all 14 of her rides. All 5 of her 2012 finishes have been in the top 3, including a third in the 100-mile Yosemite Gold Cup, and 2 Best Conditions. Shellie Hatfield on Splashes Maskrade has 8 Tevis Buckles, and 4 Top Ten finishes, including 7th place last year on Splashes Maskrade. 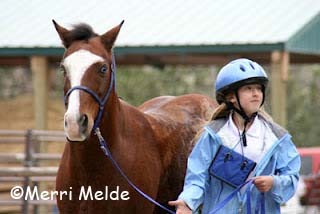 The horse has 3 consecutive Tevis finishes, two in the Top Ten. 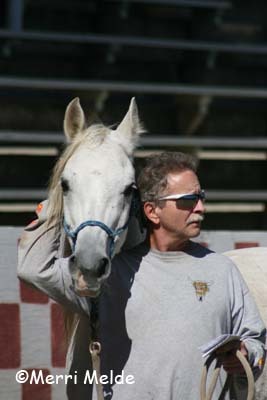 Crockett Dumas is riding OT Sara Moniet RSI - named the Arabian Horse Association's 2011 Distance Horse of the Year. Sara has 3345 miles and has completed all but 2 of her 65 endurance rides. 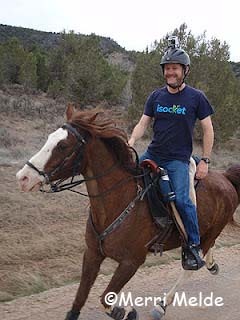 Crockett has 6 Tevis buckles, and roughly 38,000 AERC miles, and has completed 75 of 79 100-mile rides. Crockett's a heavyweight rider, so that's one tough mare. 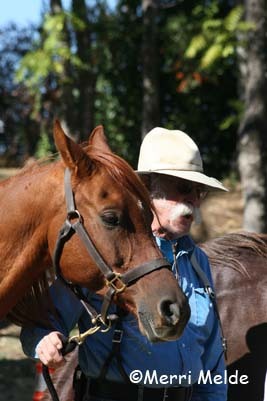 Robert Ribley has 12 Tevis buckles and 31,000 AERC miles. Darolyn Butler - 2 Tevis buckles and 33,000 AERC miles. Darolyn will be taking 2 Aussies through the ride! 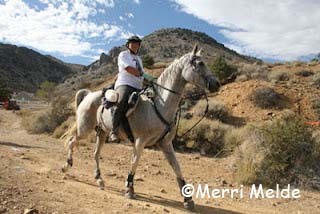 Gina Hall has one Tevis buckle and 13,185 AERC miles. 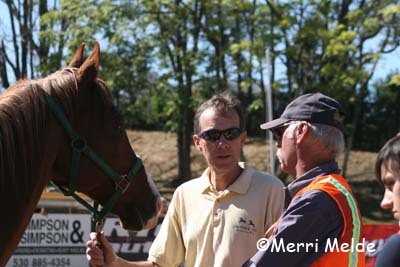 Her special horse Fire Mt Destiny is 91 for 92 starts/finishes, 15 for 15 in 100-mile rides, and has 5390 AERC miles. 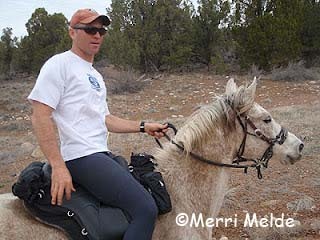 Nick Warhol has 5 Tevis buckles and 10,000 AERC miles. Nick's beloved Forever Dawn ('Don') is 73 for 74 with 3345 miles, and is 11 for 11 in 100-mile rides. Don has 4 Tevis buckles… Nick's dream goal is for Donnie to get 10 Tevis buckles. Pat Chappell is going for 20 buckles. She has 14,800 AERC miles. Kathy Perry is going for 22 buckles. She has 10,400 AERC miles. Hal Hall is going for 29 buckles. He has 9400 AERC miles. Mr Hasumi from Japan is going for his 9th straight Tevis buckle in a row. This man didn't start riding horses until he was 59 years old. Barbara White is going for a record 32 buckles, riding Canadian Brook for the third time. Barbara has 10,000 AERC miles. David Bache on SA Zafar Badr, on their first 100-mile ride. Clara Berner on her adorable feisty blue-eyed pony Benjamin in their first 100-mile ride - they've been training over the Tevis trail the last 2 weeks. Barrak Blakeley going for his second Tevis buckle. 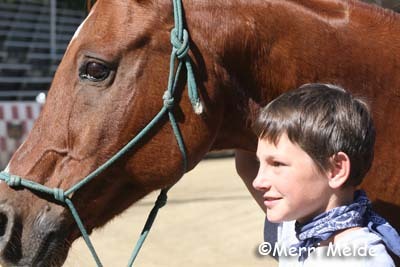 John Donley on My Manselle on their second Tevis attempt; they were pulled in 2010. Kadee Felton going for her 2nd Tevis buckle, this time taking Shawford through his first 100. Bryce Hackley - 2 for 2 in Tevis - riding Don't Be Shai. Brandon Reed on a horse yet to be named - going for his second Tevis buckle. Dillon Thomas on Count Okba on their first 100 mile ride. There are approximately 183 other riders and horses, each with their own stories… but this will give you a pre-taste of the excitement to come on the 100-mile Tevis cup ride from Robie Park near Truckee, to Auburn, California on Saturday. Steph and I will be there video-ing and photo-ing for Endurance.net, tune in there (click on the 'Tevis Cup' banner) for lots of exclusive photos and videos and stories. You can follow your favorite rider during the day on the Tevis Cup site - go to teviscup.org and click on 2012 Tevis Webcast. On ride day you'll be able to enter your favorite rider's number and see where they are on the trail. You'll find a list of rider numbers on the Tevis Cup page also.